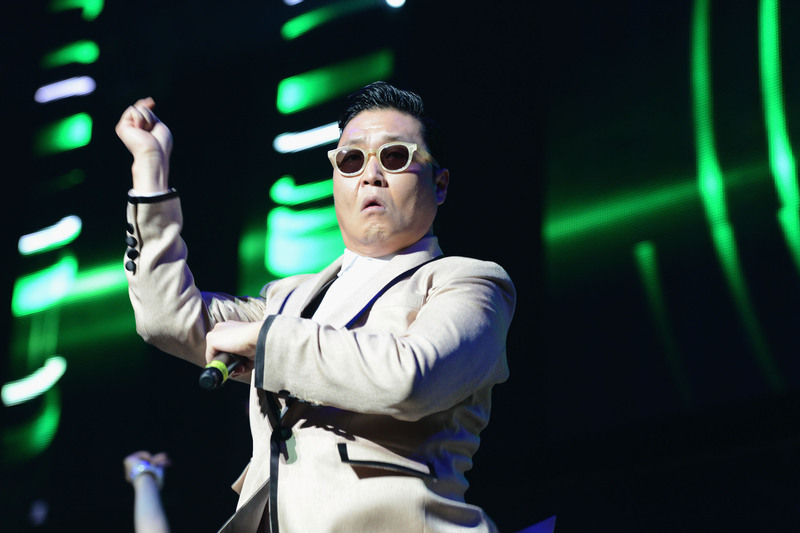 How Much Money Has Psy Made Off Gangnam Style? One of the most incredible aspects of Psy's millions is that only a tiny fraction of the money is coming from sales of physical CDs. Gangnam Style was not released as a CD in the United States and has only sold around 100,000 copies in his native South Korea. Instead, Psy earns money from several different sources that did not exist just a few years ago. The first source is Youtube revenue sharing. Psy's video has been viewed 900 million times on Youtube and his account has been viewed 1.3 billion times. Every time someone watches his video or just visits his account, he or she is shown advertisements and Psy gets a cut of that revenue. By the end of the year, it is estimated that Psy will have earned $1 million from his Youtube revenue share. The next major source is iTunes, where Gangnam Style has been purchased by three million people which generated roughly $2.6 million for Psy after Apple takes their 30% cut. The third source of revenue is from streaming plays on platforms like Pandora and Spotify. Unfortunately these sites pay tiny fractions of pennies for each play, so Psy's total take from worldwide streaming amounts to less than $200,000. Finally, Psy is making money through one fairly traditional source: endorsements. It is estimated that in the last six months Psy has made $5 million signing deals to endorse a range of products for brands like Samsung and LG. 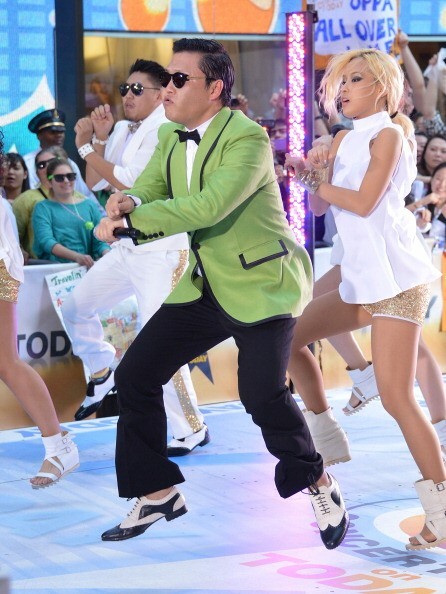 In total, Psy has made $8.8 million off the crazy success of Gangnam Style. Of course, that amount does not include taxes, management fees, lawyers, agents etc… But it is still an impressive number. Interestingly, Psy is not the only person making a fortune off his global super stardom. As we detailed back in October, Psy's father and brother run a publicly traded South Korean semi-conductor company called DI Corp. A funny thing has happened to stock price of DI Corp since June 2012 when it was sitting an all time low of $1.20 per share. Between June and December, which happens to coincide perfectly with Psy's rise to fame, shares of DI Corp skyrocketed 188% to an all time high of $5.8. According to stock analysts, it's not unusual for the price of a South Korean stock to be affected by something intangible like public sentiment. Psy's father and brother own 10% and 15% of DI Corp's shares, which means they have both benefited enormously in the last six months. 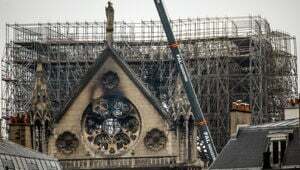 More specifically, his father and brother's paper net worths have increased by $12 million and $18 million, respectively, since June. On a similar note, the share price of Psy's management company, YG Entertainment, has increased more 30% since June. This increase has added $200 million to the paper net worth of YG's CEO Yang Hyun-suk. In summary, that's $8 million for Psy, $30 million for his family, and $200 million for his manager's manager. Seems like Psy is getting the short end of the stick, but keep in mind this entire windfall comes from a silly dance and a catchy Youtube video! Have you heard of Bigbang? Not the TV show, the Korean boy band. These five young androgynous Korean boys are dominating what is currently the hottest pop genre that is taking over the world – K-Pop. Celebrities usually get rich based on their star power, but sometimes famous people are simply a case of the rich getting richer.